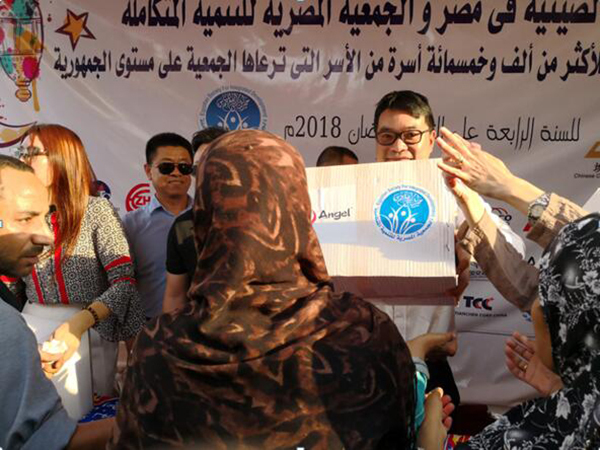 In order to give back to the local communities, on the occasion of Egyptian Ramadan, Angel Egypt Company, together with Chinese Embassy in Egypt and other Chinese-funded enterprises distributed Ramadan gift packages and Ramadan food to local poor people in Egypt. On the evening of May 27th, 2018, Egyptian time, the Egyptian-Chinese Chamber of Commerce in Egypt and the Egyptian Charity Organization (the Common Development Association) jointly organized the "Ramadan Charity Month Event." Ambassador Song Aiguo of the Chinese Embassy in Egypt participated in the site of the Ramadan booth, together with the Chinese-funded enterprises to distribute Ramadan gift packages and Ramadan food to local poor people in Egypt and extend Ramadan blessings. Sun Yuxiang, general manager of the Angel Egypt Company, participated in the charity event on behalf of the company. 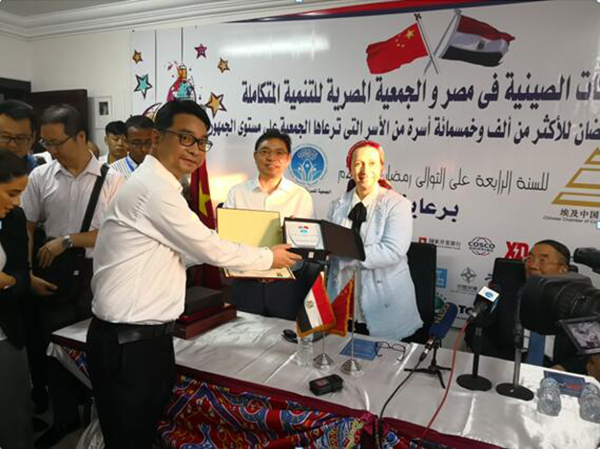 This move fully demonstrates that while Chinese companies are promoting Sino-Egyptian economic and trade cooperation, they have not forgotten to give back to local communities. The active organization of charity events reflects the social responsibilities of Chinese-funded enterprises invested and developed in Egypt, establishes a good image of the Ewe people, promotes the traditional virtues of the Chinese nation's charity, and promotes the friendship between the people of China and Egypt through practical actions.